Baldelli’s the Guy, Now What? Examining the effectiveness and ability of managers in baseball’s ever-changing climate can be a difficult task. As front office personnel look for competitive advantages both on and off the field, finding someone to execute from the dugout is as imperative as ever. While it’s hard to argue that a manager has a drastic effect on the wins and losses over the course of a season, there’s no doubt that the best ones can squeeze out every shred of probability. After being told to stick with Paul Molitor upon their hiring Derek Falvey and Thad Levine now get to usher in their guy. Rocco Baldelli becomes the first manager hired without ties to the Twins organization since Ray Miller back in 1985. He takes over at 37 years of age, with no managerial experience, and following three guys who all held the position for at least four seasons (two of which lasted a decade-plus). Without having heard information from the interview process there’s some obvious traits Minnesota’s front office must have liked. Baldelli’s youth likely plays as a form of relatability to a team needing to connect. 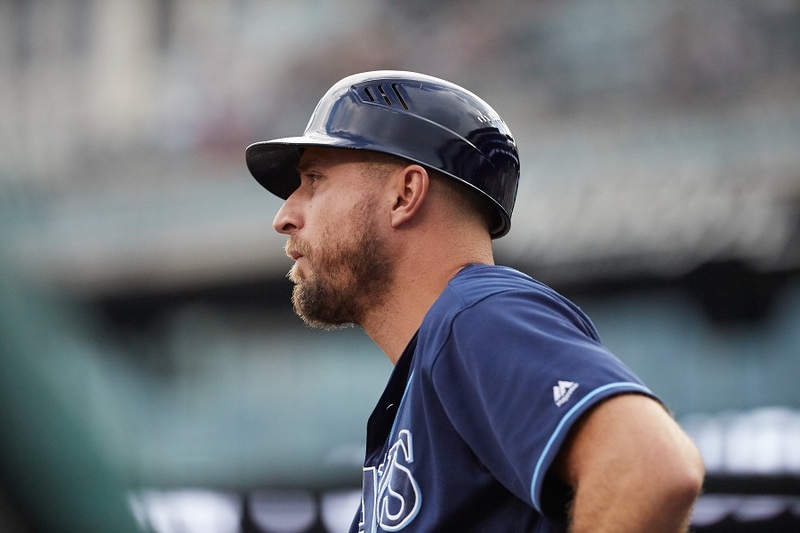 Coming from the Tampa Bay Rays organization, like Derek Shelton and Josh Kalk before him, analytics and the application of statistical advantages likely runs strong. Having retired less than a decade ago, Baldelli is still plenty connected to the current game, and having been a former top prospect himself, he succeeded at a high level. Arguably the most interesting position Baldelli has held was the previous role with the Rays organization. In 2017 he acted as their major league field coordinator. His focus was on studying and dissecting opposing hitters, player positioning, and implementation of defensive strategies. This is an important note as the Twins utilized shifts as often as any team in baseball last year. Fangraphs recently introduced a “shift runs saved” statistic and Minnesota’s 31 from 2018 ranked 3rd in all of baseball. They seem to have added a new asset to that initiative as well. So, with plenty to like about Baldelli, how do we go about understand his value and evaluating his effectiveness? First and foremost, I expect to see the collaboration that Falvey and Levine so often preach. I don’t think Paul Molitor did anything wrong in 2018, and the season certainly wasn’t solely his fault. However, I do think there’s a disconnect between being open to ideas, or embracing them, as compared to the idea of championing them. Following their latest loss, New York Giants head football coach Pat Shurmur talked about going for two points late in the game, and the probability of success. Rather than discussing how he was told that the plan may be good, or what the numbers say, he had a grasp of them, executed a plan, and had drawn it up himself. That moment was one that clicked for me, in relation to the Twins and believing this was the mindset the front office is looking for. Baldelli already has a wealth of information on his own and being able to mesh it with the front office and proactively execute on the field, is something that should help an organization striving for every possible statistical advantage. From there the next most integral part of this undertaking is connecting with the cornerstones of the clubhouse. It’s a very real possibility that should the Twins take another dive, Falvey and Levine won’t be around to see the fruits of their drafting labor. Royce Lewis and Alex Kirilloff could be organization altering prospects, but there’s already two of those guys at the big-league level that are more important at the current juncture. Both Miguel Sano and Byron Buxton have failed to live up to their potential for different reasons. Baldelli will be tasked with getting their complete buy in and figuring out how to unlock all they have to offer. Regardless of the level of blame should be placed on Molitor, the reality is that those players didn’t blossom under his leadership. Rocco must figure out a way to have both producing like the superstars that the Twins have counted on. 2019 isn’t a rebuild for the Twins and generating significant production from the internal talent will only allow the acquisitions to further supplement what is taking place at target field. We can certainly dissect Baldelli’s managing style throughout the course of the 2019 season. Wondering how he will manage a bullpen, set a lineup, execute in-game situations, or attack the opposition are all key factors for the manager. On a nightly basis they may, and added together, have a not insignificant impact in the final win tally. I’m comfortable in saying however, that all those things pale in comparison to the aforementioned focuses. Gone are the days of needing managerial experience, a proven name, or some sort of track record. Alex Cora inherited a very talented Boston Red Sox team and pulled the right strings to have them staring down a World Series championship during his first season at the helm. Those heights would be near unfathomable for Baldelli next year, but collaborating with the front office to produce the best results in all phases, while generating the best from his inherited cornerstones would be an optimal place to start. This offseason was and is going to be of vast importance for the organization, and ultimately the legacy of the current front office. Falvey and Levine have now selected a leader they believe in, and it’s time for everyone to get to work. How long a leash does he get?1-2 years? My guess is that it will be a cooperative process but I think Rocco will have the final say. You may have hit the nail, but not on its head. Baldelli cannot do ALL of the above; he first has to have coaches whom he can trust to help with all of the above. He's not just leading the players, but also the coaches. He's also dealing with upper management (making recommendations about both the Twins players and other teams' players) and analytics staff (getting the right information in succinct form to the players that they can apply. His lack of management experience - at any level of the game - is a concern. Anyone can fill out a lineup card, but getting the best lineup possible against each opponent for 162 games is a challenge. As a new manager, he must build relationships with each of the players, and begin to build trust. 'Trust is earned' is a common phrase, but that trust has to exist. Without it, the ball club will flop. Sano and Buxton I believe can flourish under Baldelli, but it's also a question if they will, Their season probably had more to do with Molitor's leaving than anything else (just conjecture). Sano will come back string, I think; Buxton has more challenges. Let's hope Baldelli can get the most out of all the Twins. Like all managers he has one problem he cannot control - the roster that the FO gives him.If he gets better than Molitor had he will do better.He can call on all the relievers he wants - if they cannot pitch he cannot win.He can platoon all he wants, but if they cannot hit or field he cannot win.Good lucky Rocco - but the ball is still in the FO court. Like all managers he has one problem he cannot control - the roster that the FO gives him.If he gets better than Molitor had he will do better. Molitor got better players in 2018 than he had in 2017 and he did worse.The Twins were the kings of the off-season according to many pundits. I hope that unlike Molitor who played favorites, Baldelli plays the best 9 every day ,is rational regarding bullpen utilization, and he shows that he hates losing (unlike his predecessors) and lights fires under the players to do the same. Again everyone is talking about he has to turn Buxton and Sano around. Falvine hires the hitting coach-that is his job. Why are we hanging this on the manager? "...the reality is that those players didn’t blossom under his leadership." Bingo. Nail/head. Anybody who's casually followed these boards knows I was no fan of Molly as a manager. I'm looking forward to the breath of fresh air. But Molly was and is an astute baseball guy, he was just put in the wrong spot, IMO. If he does stay with the org, and re-assumes that roving instructor role he had, all the better for him and the Twinks' prospects. He's got a lot to offer. But there's the reality. Yes, we had that one unexpected season in the sun- but for all the collective wisdom in the dugout, the fact that Sano, Bux, Kep, among others, didn't take the next step on the MLb level is a failing, and not only on those players' parts. If one or two guys don't blossom, well, that's the cruel mistress called baseball. But for nearly every prospect to fall on his face as those guys had speaks to something more. Someone, somehow, has to find the key to unlock that potential that each of them has shown in flashes, on a regular basis. Fingers crossed that Rocco and whatever crew he assembles has a few more keys on their ring. I am hopeful that we'll see less WTF lineups and in-game choices made.Hopeful that we don't burn up BP guys, or trust "vets" in key lineup spots when they're obviously not producing. Good luck to Rocco, and the Twinks. I can only think of him being another major arrow in the quiver when it comes time to recruiting quality FA's this winter. I'll give him a week or two. Analytics, conditioning, practice, shifts, drills, and personal relationships can only go so far in maximizing the performance of players. The key element to increasing performance is between the ears of the players. Dozier in 2018 was better than Dozier in2017? A half season of Polanco is better than a full one? Mauer played better in 2018 than 2017? If they got better players you forgot how poorly the others played to take advantage of it. Berrios was better in 2018. Maybe three if a couple of games get snowed out? oh, you mean three weeks starting in April ? Maybe until the first time he sac bunts in the first. I'd prefer to see them get snowed out a week or two into October, but that might be expecting a little too much from Rocco the Rookie. Now get some players, that's what. He had to be hired because he had the best sounding name. Who wouldn't like being coached by someone named Rocco? That assumes that Buxton and Sano's issues are purely mechanical. I don't believe that to be the case. There is plenty going with those two that a manager can influence. You seem to be making his point for him. The FO can't control how players perform. All they can do is add or subtract talent from the roster. The feeling, both here and in the media, was that the roster was in a good place heading into the season. Those players underperforming is on the field staff, not the front office. You asked, now what?The answer to that has nothing to do with Baldelli, rather the Front Office. Take a look at the 40 man roster.There currently are 25 pitchers on that roster (a total of 43 players).Of those 25, I maintain that nearly half (12) fall into the category of marginal prospects/talent.Somehow, this number needs to be reduced with some of these players replaced by players you can count on to perform at the major league level in 2019. The dozen I consider marginal include Busenitz, Curtiss, De Jong, Drake, Duffey, Gonsalves, Littell, Magill, Moya, Slegers, Stewart, and Vasquez.I expect many of you will disagree and still consider a few of these good prospects who may help the club next year.But really, is there one player in that group you can write into the opening day roster in ink? I think not, thus, the problem.This year's roster was too heavy with pitchers with as few as 14 or 15 position players at a few points last summer.Assuming the team shouldn't have more than 22-23 pitchers on the 40-man on opening day, they can't have a dozen who not only aren't worthy of an opening day spot but also aren't top prospects.And this dozen didn't include Belisle or Santana, who both should be gone next week, or Hildenberger or Reed who struggled during the last part of the year. So what's next?I maintain the most important task for the FO will be to re-structure the pitchers on their roster this winter. Nice job. You save me from having to look up the same statistics. Yeah, he didn't say anything about how they performed, it was about the talent level they went into the year with. All your stats are doing here is proving his point. From 2017 to 2018, 4 players - Sano, Buxton, Polanco and Castro - combined to log 1,145 fewer plate appearances and netted -8.4 fWAR (9.1 WAR in 2017, 0.7 WAR in 2018). All due to injury and PEDs. Add Santana with 184 less IP and a net fWAR of -2.9. That's 11 fewer wins due to circumstances beyond Molitor's control. Rocco is moving into a great spot. He'll get plenty of slack the first year. At least one of Buxton and Sano will have a productive year. Polanco will be very good with the bat all season. The Twins have found catchers to replace Castro. Cave has proved he can be the 4th OF. And if Rocco is lucky, Pineda will be healthy. The bullpen will be miserable and there are gaps in the IF, but that'll be on Falvey to solve. → Article: Baldelli’s the Guy, Now What?